If you think that there is nothing in common between South Africa and sarcophagi you might just be right. 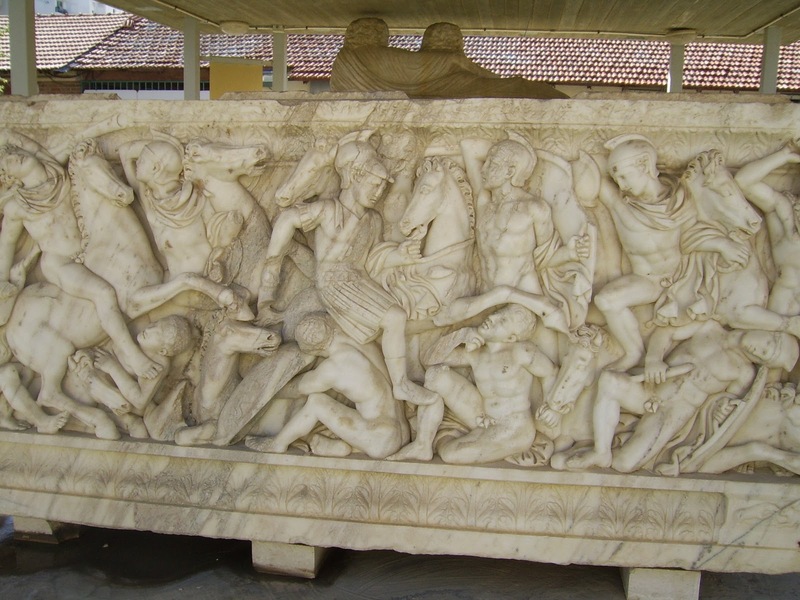 Sarcophagi, the plural for sarcophagus, are ancient burial boxes that were not buried underground but usually put in a cave or a pyramid. They are often beautifully designed with all kinds of symbols and things that were thought to be cool when the person inside the sarcophagus died. The more ancient ones are quite plain (no power tools yet, man!). But in Ashkelon of all places there are two of the most beautiful and elaborate sarcophagi ever found. Ashkelon is this really ancient city in Israel where the Philistines used to live. The Philistines were the guys who gave Samson from the Bible all that grief (in case you did not know :). All the Philistines are long gone now from Israel (and the Babylonians, Assyrians, Greeks, Romans and Turks) but some of the invaders left some impressive souvenirs. 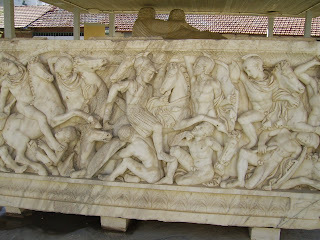 The two sarcophagi in Ashkelon are from Roman times. 2. The second connection is the South African immigrants who settled in Ashkelon in 1951. One of the neighborhoods is called Afridar and the streets in the area near the sarcophagi are called South Africa and Johannesburg. The city itself with its tall white buildings next to a beautiful beach also reminded me a lot of Durban, a large harbor city in South Africa. So there is a connection between a South African and those sarcophagi though perhaps not too an obvious one. 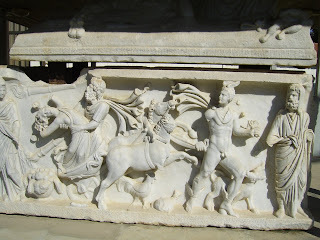 However, the beautifully carved sarcophagi caught my attention and when I read up about them and the city of Ashkelon I learnt about the South African immigrants who settled there 60 years ago. Maybe a South African even found them! So, morale of the story? Be nosey, pursue beauty and you just might get to meet family, or fellow countrymen :).